Anytime I can save money and make my daily routine greener and more natural, I do. That’s why I’m so excited to share the easy homemade mouthwash recipe I created. When I began my transition to natural living I gave up some not-so-healthy products because I couldn’t find a suitable healthy replacement. Mouthwash was one of those items. I’m so happy to have created a DIY mouthwash that I can feel good about using. I love that it’s so easy to make and that it leaves my mouth feeling fresh and clean. I used to use a natural brand of mouthwash from the health food store, but when I discovered that it contained sorbitol and xylitol, both of which make me feel sick when ingested in even the smallest amounts, I stopped using it. For a while I gave up mouthwash altogether and I really missed it. It’s difficult to find a mouthwash that’s not sweetened at all. Sure, sorbitol and xylitol are sold as natural sweeteners, but since they make me feel sick I don’t really care if they’re natural or not. They simply don’t work for me. 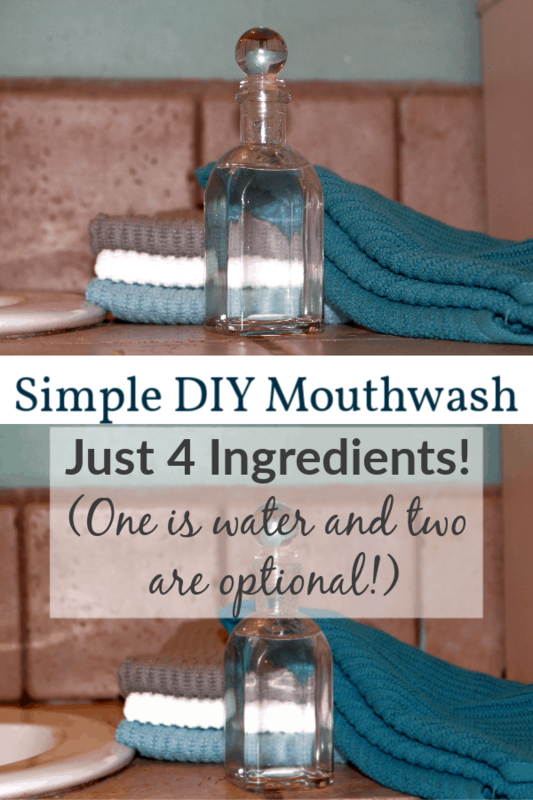 I wanted a simple water-based mouthwash that would clean my mouth and leave it feeling fresh. I also wanted nice minty breath, but that wasn’t at the top of my wish list. Fortunately, I got everything I wanted with this homemade mouthwash. One day when I brushed my teeth with my homemade toothpaste it dawned on me that I could use the same essential oils in a mouthwash recipe that I used in my toothpaste recipe and probably get an even better clean than a conventional mouthwash gives! By combining water, colloidal silver, thieves essential oil blend, and peppermint essential oil, I created a simple but powerful homemade mouthwash. Why thieves oil and peppermint oil? As for peppermint oil, I love the flavor. Spearmint essential oil and orange essential oil make lovely mouthwash ingredients, as well. Thieves oil has a wonderful cinnamon flavor, but I find it to be a little bitter. The peppermint oil balances it nicely and gives my homemade mouthwash the taste that I expect mouthwash to have. The essential oils are one of my favorite things about this mouthwash, but if you prefer an unflavored mouthwash you can skip them. I added colloidal silver as an ingredient in my DIY mouthwash a few months after I created the original recipe. In a glass container (only glass, no plastic!) mix the water, colloidal silver, thieves oil and peppermint oil. Pour about a half-ounce into a small glass cup or shot glass , put in your mouth and swish for as long as is comfortable. Do NOT swallow the mouthwash. In a glass container (only glass, no plastic! 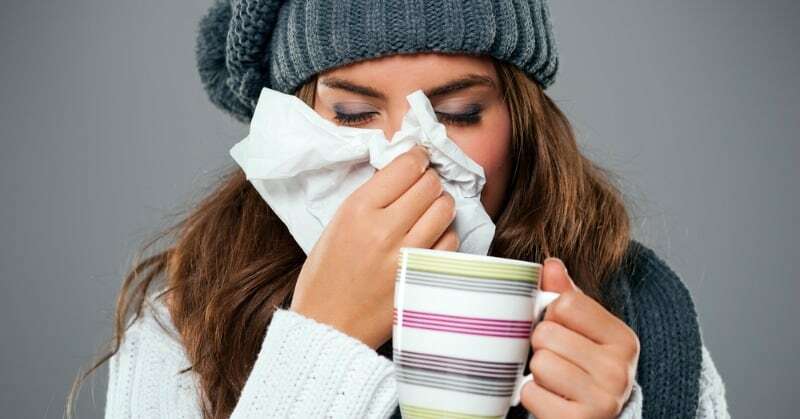 ), mix the water, colloidal silver, thieves oil and peppermint oil. Pour about a half-ounce into a small glass cup or shot glass, put in your mouth and swish for as long as is comfortable. Do NOT swallow the mouthwash. *You must use therapeutic-grade oils, preferably from Young Living. I cannot promise that any oils except the ones I use in this recipe are safe to ingest.